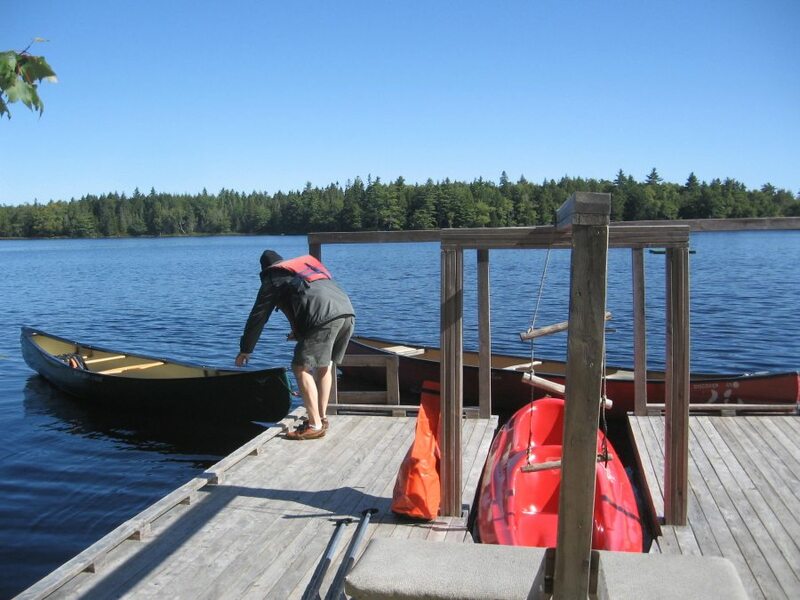 Nova Scotia – Mersey River Chalet – Canoe Pick : Yep! That was the canoe we wanted to ride. Dami is pulling it to the side so we can hop in!